Today in history, January 29, 1845, one of the most famous poems by Edgar Allan Poe (one of my favorite authors) was first published. Poe was a true master of the macabre and The Raven was no exception in bringing forth an atmosphere of gloom and terror. Great post! Haunting and beautiful poem by Poe -- I love Annabel Lee, as well. Love Poe! While I like this poem, my personal favorite is "The Bells." You quoted The Raven. That is so cool! I remember loving Poe in high school, and, in addition to this one, I liked "The Pit and the Pendulum." Thank you so much for posting this, it's been so long since I've read it and I still love it. 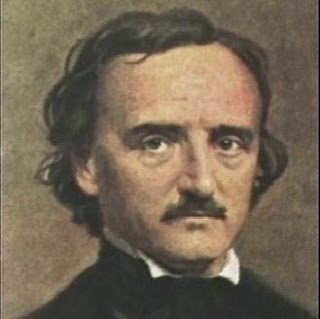 Odd little fact about "The Raven": Although it was his most famous work, Poe himself always claimed it was far from being among his best poems. Of course, it's hard to know if he was serious, or if he had just gotten sick to death of everyone he met asking him to recite it. My middle kid loves Poe but my daughter had never heard of him (I think she must not listen to a thing that comes out of her brother's mouth!) until I read her this poem recently.